The world is filled with people who have something to say, but all we need is someone who knows how to listen – this is the main message of the new creative campaign of Barcaffe coffee. 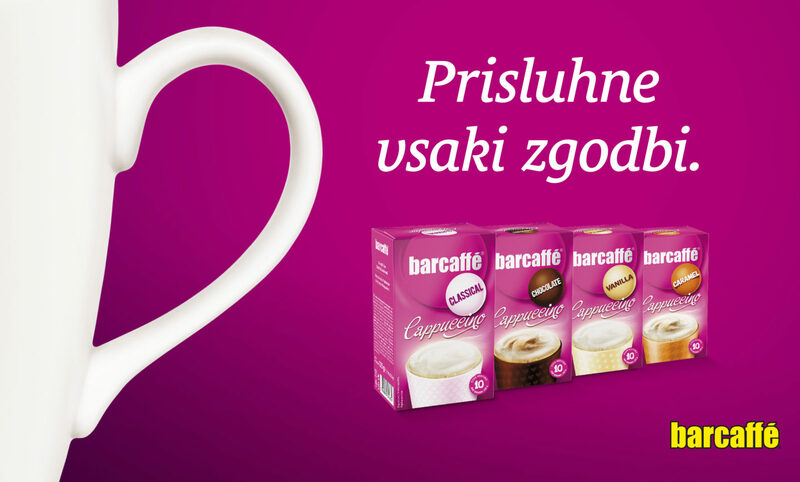 This time Imago Ogilvy and Barcaffe new how to listen to each other well and with understanding, creating a campaign for the best-known Slovenian coffee. The production was realized in cooperation with the known Slovenian musician Roko Trkaj, who complimented the entire story with his musical stylings. ”This is one of those campaigns when you feel that a brand has found its natural place and connected with what is important to people. The world truly is filled with selfish people who only have something to say, while there are so few of those who know how to listen. Barcaffe is one of those who knows how to listen, open to stories for years. There are two potentially happy situations in any campaign. The first is when you think of a great idea and the second when the clients recognize it as a great idea. This is one of those campaigns,” – says Igor Mladinović, chief creative director from the Imago Ogilvy agency.